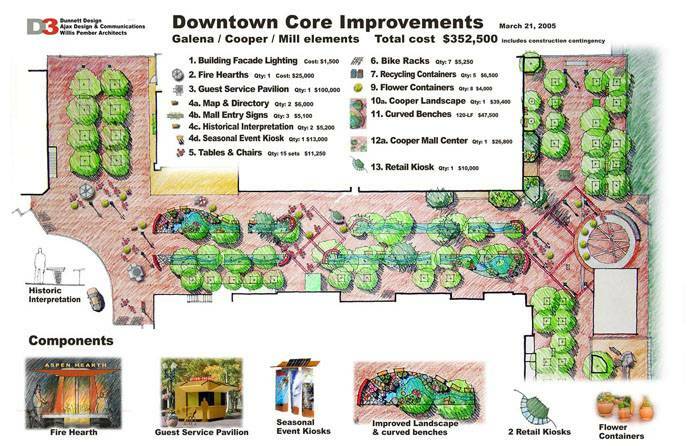 Sketches of proposed downtown improvements garnered the Aspen City Council's attention Monday. A fire hearth and visitor-services pavilion were among the elements that got the nod. Courtesy Dunnett Design.